Scott is a G when it comes to trails, if you have been around for the last 10 years then i’m sure you have crossed paths with Scott at some point. I haven’t had the chance to ride with him in the last few years, so we decided to do a little bit of catching up. Draper is currently hurt posted up in Austin, have a read what he’s been doing. We have known each other for about 10 years now, I’m counting the days we spent in the Midwest. Tell me a little bit about the scene in the mid 2000’s. The scene in the 2000’s was sick, countless trips to Pennsylvania, Little Devil, Chris Staffer, Standard Trail Boss, Minnerville Trails, Nam Trails, Posh, Square One, FBM Night Train, Empire East, the trails in Manitowoc, Wisconsin we had some amazing times. Who were some of the people that inspired you to ride your bike? 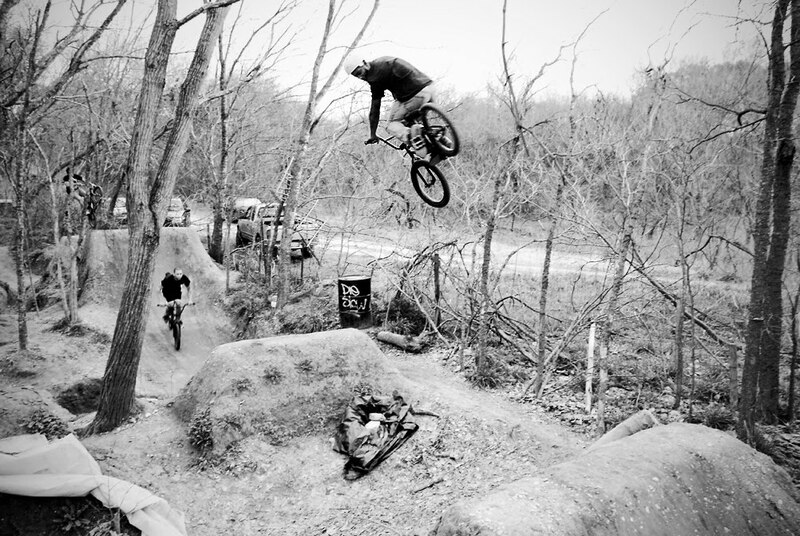 When I was younger bmx racing pros at Elkcorn or Rockford, IL tracks to Koji Kraft, Jeff Harrington, Kevin Porter and the DGC dudes along with the Scrap crew at the skatepark, to Chris Lyng and the Oaklawn Trails. Who are some of your current favorite riders and why? Favorite riders to watch, Chris Doyle, Mike Aitken, Jim Nutter, Arron Day, Ted Van Orman, Jeremy Muller, Darrin Read, Jeremy Kaiser, Brian Foster, Fids, Jay Bone, and Mike Genicore. Why move to Austin… I got into some trouble hanging out with the wrong people. I had some friends in Austin that invited me to come down and live. How often do your travel? Where is your number one choice to ride when you’re on the road. Um I guess it depend on what you call alot . But I travel for half of the year and work the other half, if I can. Every spot is different so they are all amazing in there own ways. How would you describe the trail scene in the United States as a whole? Trails are dead dude! The U.S. scene has always been amazing… Most places around the U.S. are up to date with things (Editors Note: Tarps, Drains, Normal Shovels). There are crazy sets of trails all over the U.S. It’s crazy to see and ride a new set of trails. I remember the first time seeing Posh, Nam and Minersville… Cheese and rice man! When was the last time you were really astounded by your surroundings? Everyday, I would say things are always changing, but when i’m in Ecola State Park on the Moto just looking at the land and the ocean! Wow! The Internet or print magazine? They have trails in magazines? What kind of advice would you give to a younger dude starting a set of trails? Latest DVD you’ve seen that got you psyched? Vinyl “LP” one was bomb! Can wait to get the compressions video. Top 5 music choices while flipping dubs? Future plans, can’t wait to ride new spots here (U.S.) and overseas and maybe get a session in with Kenny Grath and Az Adam other than that 8 ball Corner pocket.